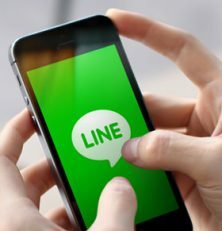 There is no shortage of options when it comes to chat messaging apps and LINE is another solution for those who want to communicate in a fun, fast and effective way. The app is gaining popularity among teenagers thanks to its unique avatars and stickers. LINE supports the main features that you would expect from an app of its type, including photo and video sharing, as well as voice messages. It also offers voice and video calls for free. With LINE you can also share texts and images on your Timeline (similar to posts on Facebook) so that your contacts can see them. Since LINE offers so many options to stay in touch, many young users are choosing it as their communication method. This means that parents who want to keep an eye on what their kids are up to, should become familiar with this app. Like other solutions available, LINE offers many advantages in terms of communication and it can be practical in many situations. However, it is important to be aware of the risks that lurk your kids when they use instant messaging apps like LINE. LINE works on multiple platforms including Android, iOS, Windows Phone and Nokia. Most features are available for free, but there are also in-app purchases that cover games, call credit, additional stickers and more. LINE promotes itself as the largest Avatar social network in the world and this, along with all the selection of features available, is likely to attract many young users. LINE supports group chats so kids can stay in touch with all their friends. Below you will see a list of the functionality of LINE that appeals many users, particularly teenagers. LINE is one the apps that support free calls and texts. All that is required is an internet connection and since it is possible to find free WiFi in many places, kids can easily communicate with their friends, without the need of a plan or call credit on their phones. Since LINE combines efficient instant messaging, voice communication and social media features, it is a convenient solution. Apart from being able to chat directly to someone, kids can hold group conversations and share posts with their closest friends. The app allows users to add unique themes and even background music, as well as cool stickers. Shake it is an innovative feature that allows users to add contacts in a fun way. By shaking the phones together, it is possible to activate this option and just like that, your new contact’s number will be added to your phone. There is also a QR code that can be scanned through the device’s camera or using the LINE ID directly. Should you be concerned about your kids using LINE? Hidden Chats is a feature that separates LINE from the competition. Once a message is sent in a 1 to 1 chat, the texts and images are secured and once the receiver taps on the message, its contents will only be available for a pre-set amount of time. After a few seconds, the message is deleted automatically. This option may be used to send inappropriate photos and other content that could be harmful for kids. With threats like cyber-bullying and online predators lurking around, it is important that parents take measures to ensure that kids are safe when they use LINE. There are a few things that you can do to help kids to use LINE in a safer way. Below is a list of what you can do to enhance their safety while they use this app. Make sure that they keep their user ID private. You can ask your children to adjust their privacy settings to set their user ID as private. Talk to them the importance of using the app only to talk to close friends and family and advise them to refuse any friend requests sent by people they don’t know. Suggest that they set filters to avoid receiving messages from strangers. Keep an eye on their in-app purchases. As previously mentioned, there are some services within LINE that require payment. Check that your kids don’t use your credit card to buy items from the LINE store. Preventing your kids from using apps like LINE or from using their phones altogether, may seem like an easy solution but it is not the right one. In the end, kids may find a way to access this technology so it is better that parents get prepared to keep up with their kids’ phone usage. Mobile phone monitoring apps are a convenient solution to make sure that your kids are not at risk while they use LINE or other online services. A mobile phone monitoring app will allow you to check your kid’s online activities while they use their phones. You just need to install the app on their device to start tracking what they do. These apps run secretly on the device and collect data that you can access from an online account that you create during the sign up process. You will be able to check their LINE conversations, including photos and videos sent and much more. While LINE offers many advantages, it can also put kids in danger if it is not used correctly. Parents who are concerned about their children’s safety and fear that their loved ones are hiding something, can opt for a mobile monitoring app. This technology will give them the possibility of finding out what is going on so that they can intervene on time. mSPY, FlexiSPY and Hightser Mobile are some of the solutions available for this purpose.